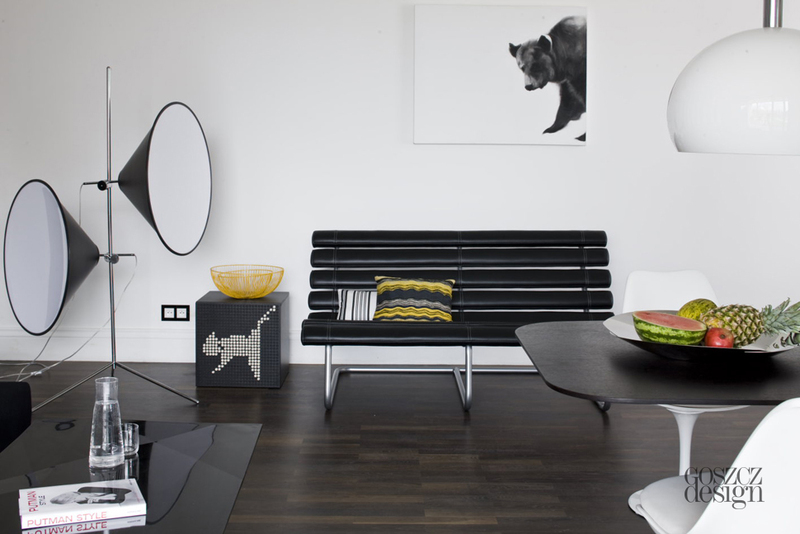 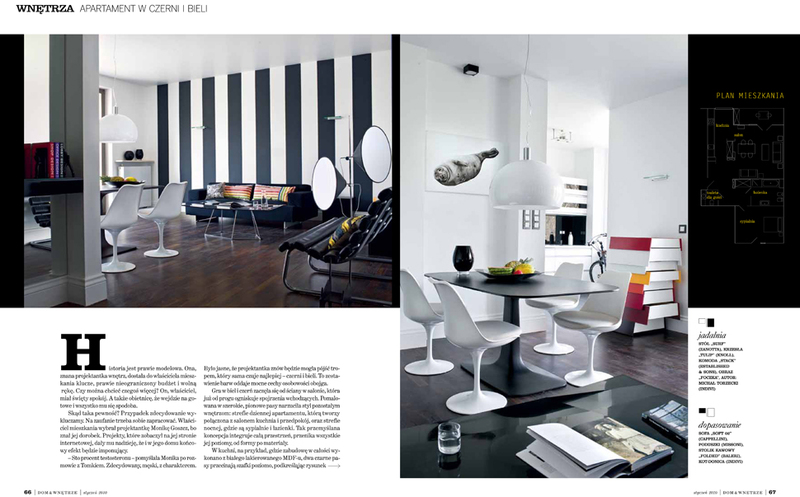 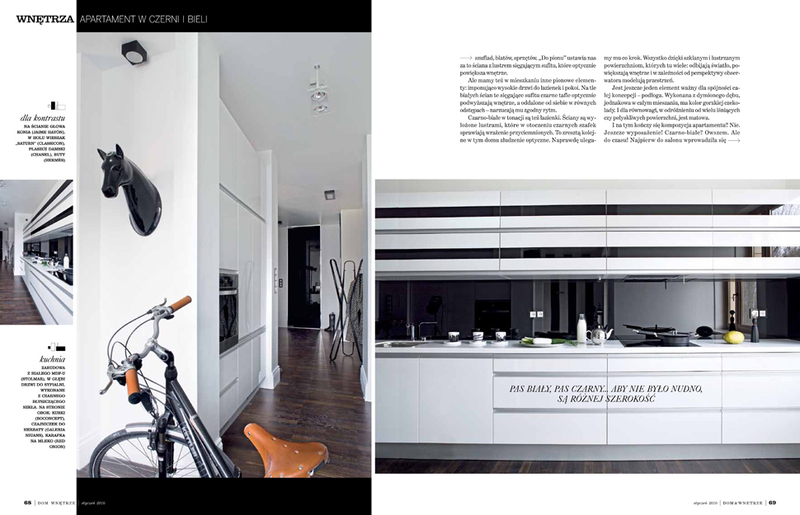 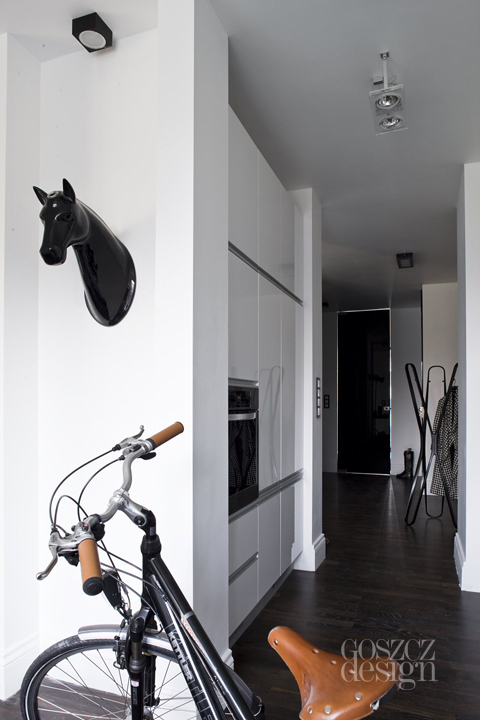 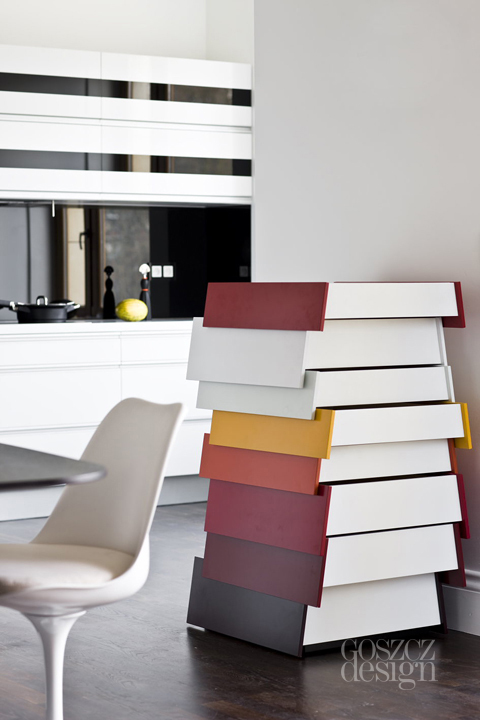 The game of black and white, game divisions and levels, and the effect is an optical illusion concept for the integration of the interior space of the apartment in Warsaw. 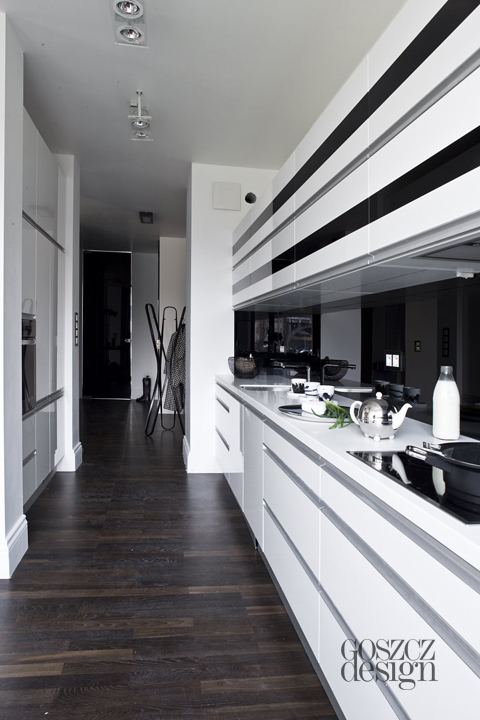 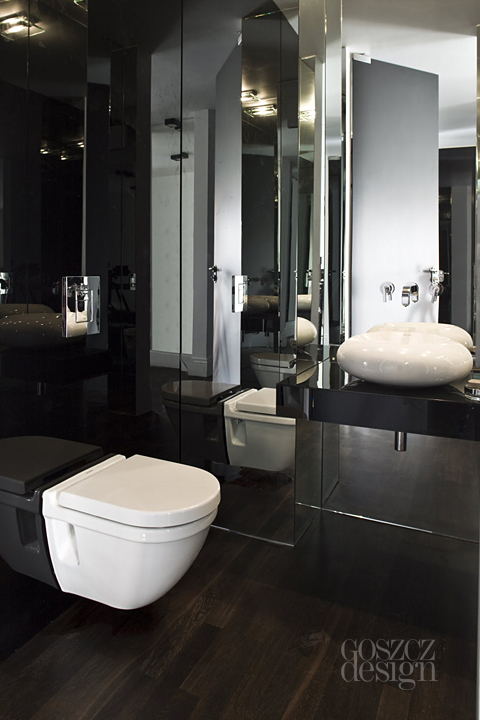 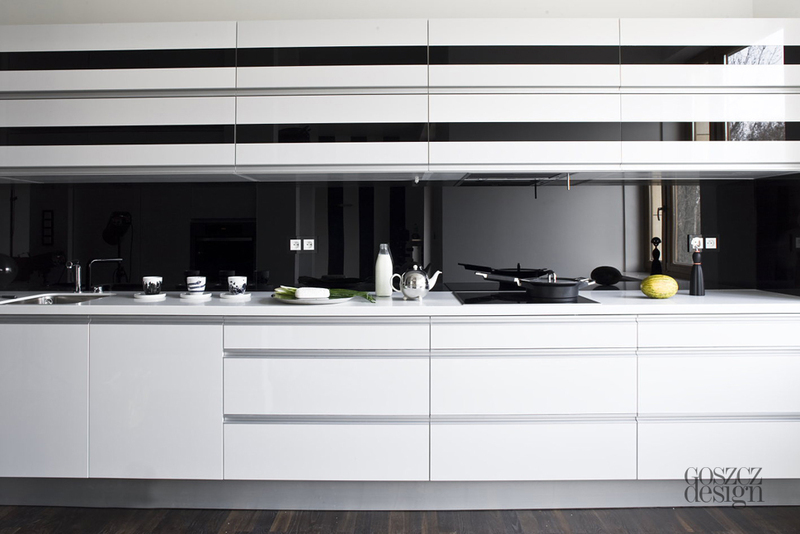 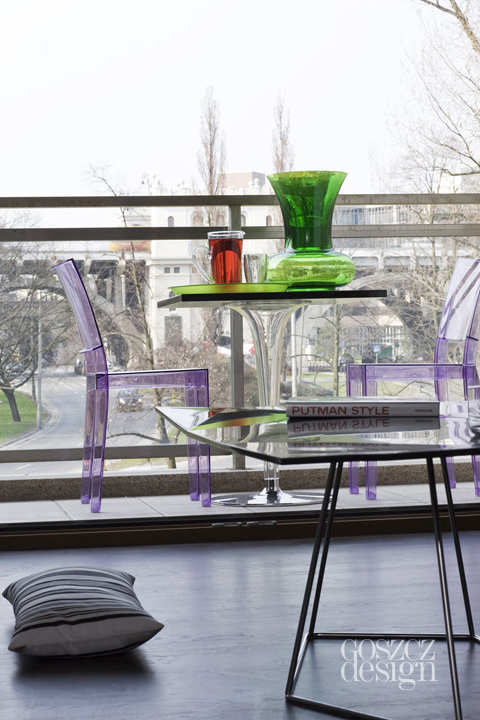 Mirrors and impressively high doors optically increase and enlarge the interior. 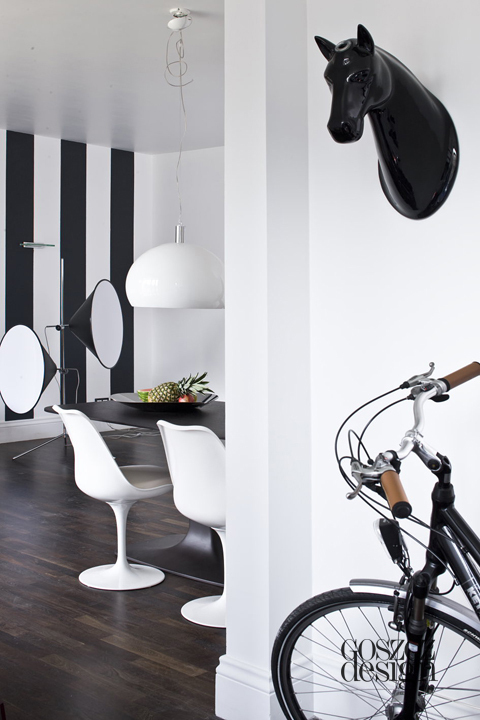 Contrasting statement of black and white, and accent color, which further graphic highlights the character of the interior, are listed with a matte oak floors.